This shawl actually started as a project re-work for the shawl ministry of which I am a part. I had the golden hued yarn and wasn’t quite sure what I wanted to create, only that I wanted to do a crochet shawl using multiples of three. Then I saw a picture of a scarf that had square openings and was inspired to incorporate something similar into a prayer shawl. I started with a row of foundation single crochet. Since discovering and learning this method about a year ago, I try to utilize it in all my crochet projects instead of using a beginning chain. 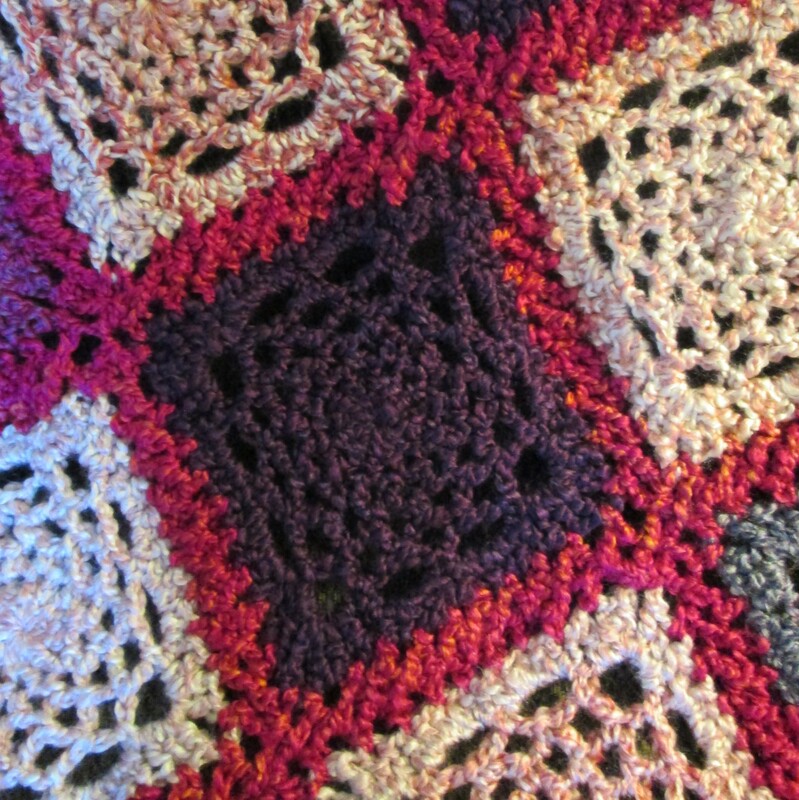 The squares are made with triple crochet and chains with rows of half-double crochet. As I worked with the yarn and the square pattern, the design of the shawl began to emerge. I was pleased with the results, so I decided to write up the pattern and make it available to others. This is a great shawl to make for a shawl ministry (as I did), to create as a special gift for Mother’s Day, or even make to pamper yourself. I hope you let me know if you decide to try this pattern.